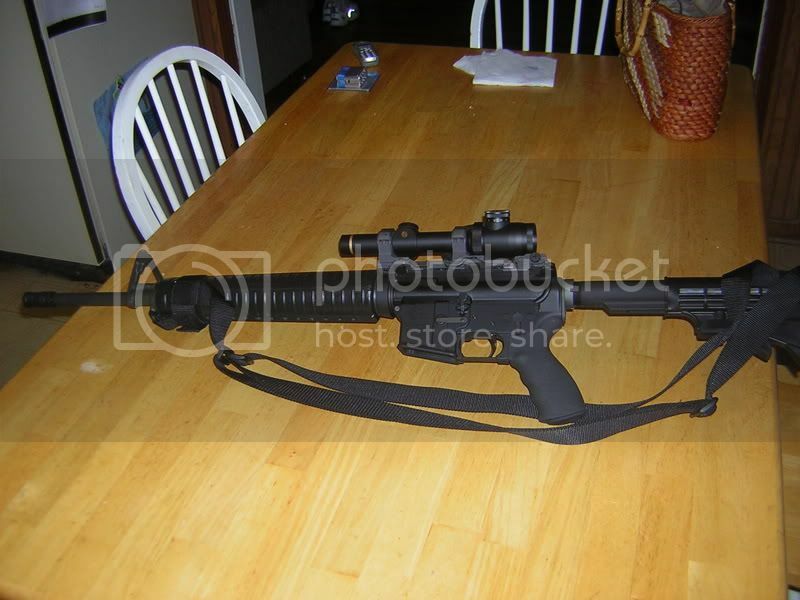 I am interested in this scope for my new Recce upper. I can't decide on the illuminated circle dot or the illuminated duplex. I am leaning toward the circle dot. I also wanted to know if there was any "upgrades" that can be done to the turrets. I would like something like the new M2/M3 turrets that don't require you to unscrew the cap and use a coin. I am considering this scope for Africa for dangerous game. Haven't shot it yet, but the circle dot looks pretty good to me. Would be einterested in anyone's experience. I also like the circle dot, failing that the German reticle is nice as well. Leupold will do custom turrets. Another option is aftermarket target turrets that screw on to replace the caps. I believe they are made by Stoney Point? I have the illuminated circle dot. ....Unfortunately, I cannot give a great review at this time...First time I attempted to zero a bunch of lose particles varying in size withing the main tube formed around the reticle (it looked like a circle dot that had been peppered). Sent it in for warranty repair and they replaced the reticle....Took it out again and same problem again!!! Only this time, I have one large lose particle in the outer third of the field of view at between 9 and 10 oclock....Maybe I can get Leupold to cover shipping for this 2nd repair. This scope was brand new from bear basin outfitters......It's not like it was a 2nd hand 15 year old used leupold purchased off of ebay or anything like that. To say the least, I am disappointed with it up to this point. It works well. I think it is easer to shoot at longer range with the duplex.Hard to do hold over with a dot. If I am correct,Leopold will change them over to target type turrets and change the reticle. Hmmmm... two people not real happy with it. I wish the NF 2.5-10 was in this price range.